The purpose of the project was to strengthen the existing Highway River Bridge. The bridge spans the Nant Gledyr River which feeds Caerphilly Castle moat. 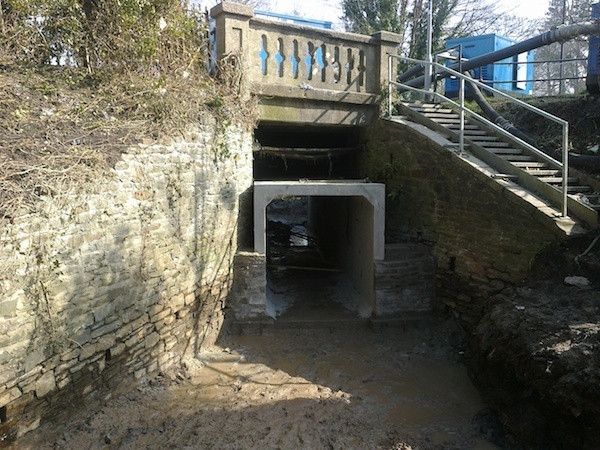 The contractors lead design project required the removal of the existing abutment props and re-lining the existing structure with pre-cast reinforced concrete box section. The void between the soffit of the existing bridge deck and the roof of the pre-cast box units was in filled with foamed concrete with the structure clad in stone. To complete the project the existing sub-standard concrete parapets were replaced with new bespoke steel road restraint barrier. This challenging project required close liaison with the Client, Cadw, Natural Resources Wales and the neighbouring school. The aim of the project was to initially lower the level of the lake by approximately 300mm below the level of the downstream side of the silt trap weir by opening the penstock gates. On achievement of this we carefully balanced the flows of water entering and existing the moat to maintain the same resultant water level. Initially a temporary dam was placed to aid in the draining of the working area, however due to difficulty in water control due to the severe weather affecting the water levels, time restrictions, the method of working had to be adjusted. 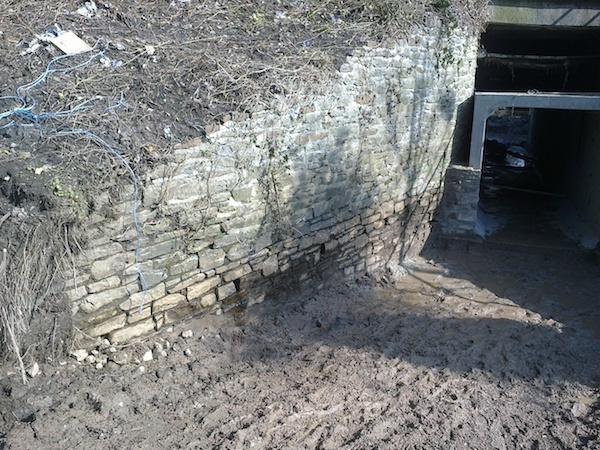 In consultation with the client we installed temporary pumps to aid in the lowering level of the water. There was a critical balancing act between water levels in both the river and the moat, with due care to the aquatic life in the moat. 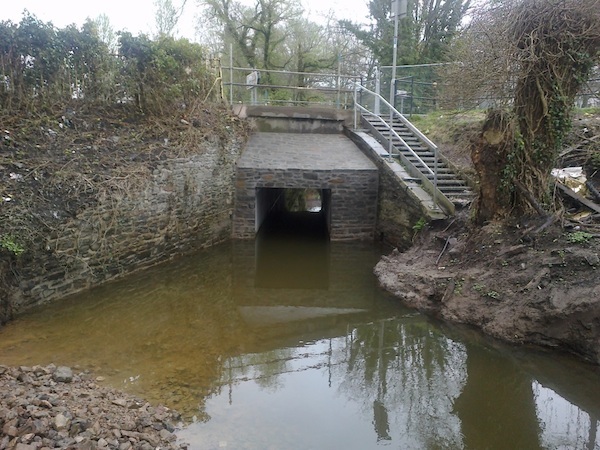 This project demonstrates Calibre Contracting’s ability to work in partnership with multiple stakeholders and meet all guidelines when working with existing structures and watercourses.